Take a step back in time to Comporta and discover a picture-perfect paradise seemingly frozen in time. Set against silky white sand beaches and against a backdrop of rolling dunes and verdant paddy fields, Sublime Comporta is a tranquil hideaway where you can enjoy all that this charming town in the Alentejo has to offer. Nestled amongst a 17-acre estate, the 34 rooms, villas and suites seamlessly blend natural beauty with contemporary luxury. Surrounded by tranquil gardens and basked in sunshine, we can’t think of a better spot to escape to. Just an hour’s drive south of Lisbon, Comporta is the perfect antidote to city life. Driving down through undulating umbrella pine and cork tree forests, you’ll immediately feel at ease. Boasting a coastline that stretches 60km, you’ll have no trouble finding your own private paradise here. Live the Comporta life and take it easy exploring quaint villages, picnic-ing on deserted beaches, horseriding over dunes – or simply reading your book around the pool. 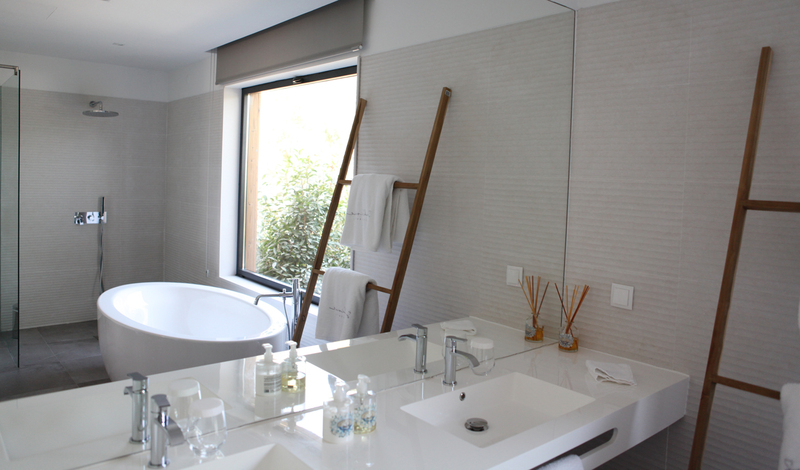 Naturally elegant, Sublime Comporta’s beautiful rooms all feature neutral color schemes with crisp white linens, exposed stone and smooth wooden accents. Choose from 34 rooms, villas and suites, each with their own unique character. Some dazzle with mezzanines, some with indoor-outdoor fireplaces and others with private pools, but all in one way or another. If you’re traveling with family or friends, we loved the two-bedroom cabana villas. 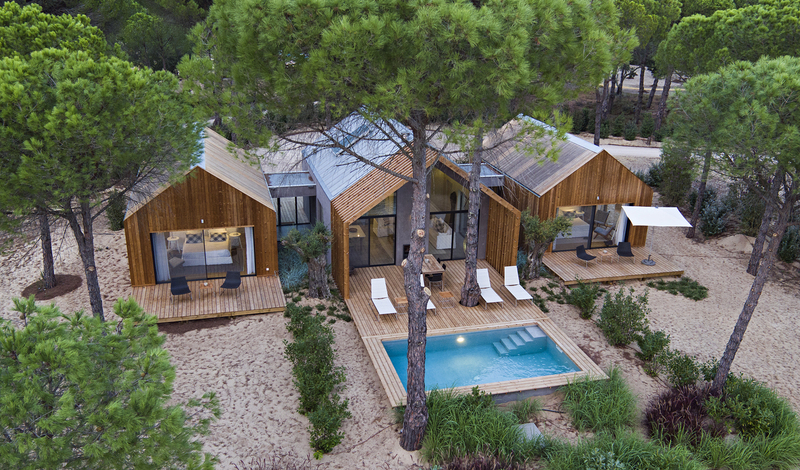 Super private and designed as a contemporary take on Comporta’s traditional homes, you’ll never want to leave. The clue really is in the name here as Sublime Comporta is just that; Sublime. It’s chic and luxurious but oh-so laid back at the same time. It is a place where you can walk barefoot across the sands without a care in the world and spend evenings indulging in fine cuisine. For the ultimate culinary experience though, take a day trip down to an artisan fishing port and spend a day with a local fisherman. Ocean-to-table cuisine is the next big thing after all.